For years, Google has been in the driver’s seat for the ‘mobile-first’ way of doing business. People today continue to become more and more reliant on their smartphone and with that reality, Google has been continuing to “talk the talk” with their mantra that mobile is and should be their primary focus. Google is rolling out a brand new feature that allows mobile users to contact the service business using SMS texting! Call extensions have been around for a number of years but with the click-to-text feature, users can expedite the process of acquiring the necessary information they seek. Call-phobic people and those dreading having to sit through 15 minutes of bland instrumentals while the company waits to “find an available representative” can simply send a quick text and continue about their day. Now, when users select a message extension or icon, their smartphones will then launch the SMS texting application and allow them to send questions immediately. For message extensions, advertisers can now include more captivating calls to action in the text. They are also capable of setting up initial texts that pre-populates in the message once this option has been selected; saving time and effort for both parties by anticipating what the user is likely interested in knowing. For those that are managing the AdWords, it will be a relief to them as the message extensions are charged exactly like a regular click on any ad headline and can be set at the campaign levels as well as the ad group levels. Time is also key as advertisers can select certain times of day for the extensions to run or leave them on during closed hours as well and set an auto-response to let users know when an answer is is to be expected. Although ad managers will have to configure their own methods of tracking message extensions, with this new option for AdWords, advertisers can expect to see increased engagements rates due to the simplicity and convenience of click-to-text. Look for this feature to be released in the coming day! Mobile users can begin to look into the future of less time on-hold and more time getting the answers that they need. What a time to be alive! 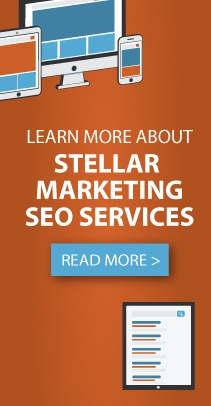 If you are interested in revamping your marketing strategy, visit our marketing page to see what Stellar Blue can do for you!